2017년 9월 15일은 이정신 생일입니다. 2017년 올해도 해피정신데이 파티를 하려고 합니다. 2017년 9월 15일 금요일 P.M. 7:00입니다. 맛난 것도 먹고 이정신 영상도 보면서 함께 축하하는 자리입니다. 즐겁게 식사하면서 함께 이정신 자랑이나 하면 됩니다. 자기 소개도 없으니 부담 없이 참석하세요. 생일파티는 장소 문제로 인하여 선착순 마감하겠습니다. 이정신은 촬영으로 바쁩니다. 많이 바쁩니다. 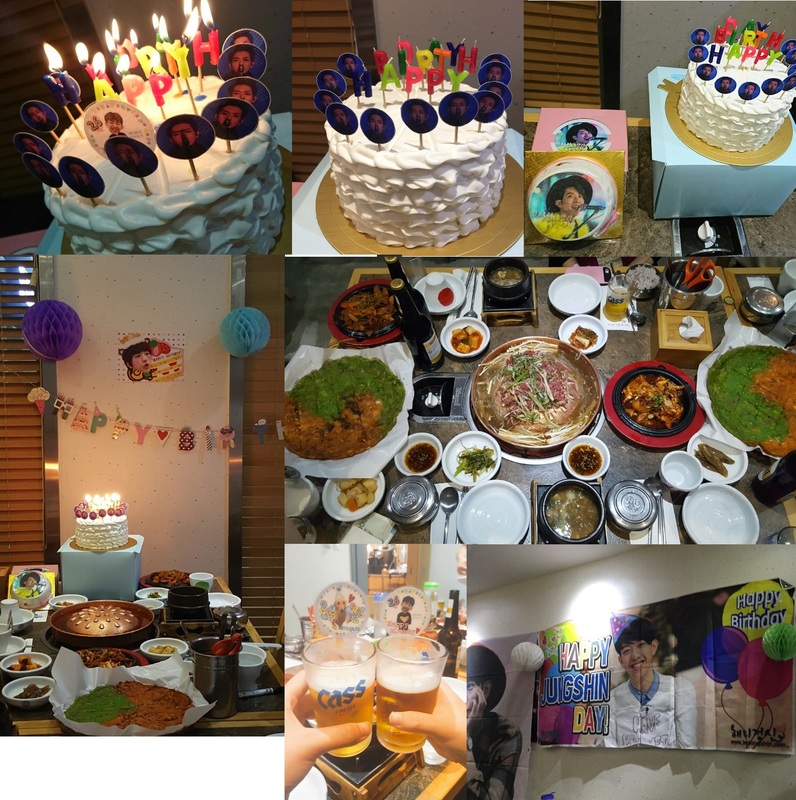 Happy Jungshin Day have been held as the birthday party of Jungshin since 2014. We are going to have Happy Jungshin Day party this year in 2017. Fans from all over the world are welcomed to join. It is an occasion for all fans to celebrate Jungshin birthday with delicious food and watching Jungshin's videos. All programs are not confirmed yet but it must be an enjoyable time for us to eat and do conversation all about Jungshin. It is a casual party. Please do not hesitate to attend. All participants of the party will be given a souvenir. Due to the limitation of seats, your application will be confirmed on a first-come-first-serve basis. Please send email to Happyjs0915@never.com by 5 September. Please note that Jungshin will not be joining the event due to his busy filming schedule.